Papers: Correspondence in William Franklin Sands papers, 1875-1945. Finding aid. Papers: In Order of Railway Conductors and Brakemen executive officers files, 1881-1968. Papers: In D.H. Burnham & Co. archive, ca. 1891-1912. Papers: In Pennsylvania Railroad Company, Office of Vice President Samuel Rea records, 1866-1916 (bulk 1905-1912). Papers: Ca. 10 items in William Woodville Rockhill papers, 1657-1715, 1806-1936. Finding aid. Papers: 1903-1920. .17 linear foot. Personal and political correspondence (1903-1908) primarily with James S. Young regarding his appointment as a federal judge; printed speeches (1911-1920); and clippings. Papers: Correspondence in Charles W. Fairbanks papers, 1819-1939. Papers: 1796-1922 (bulk 1901-1921). 26.4 linear feet. Correspondence, reports, memoranda, letterbooks, official documents, speeches (1904-1921), scrapbooks, newspaper clippings (1901-1921), cartoons, and miscellaneous materials chiefly documenting his career as U.S. attorney general, secretary of state, and U.S. senator. 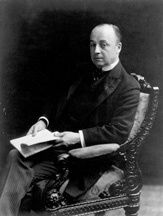 Topics include antitrust prosecution of the Northern Securities Co., reorganization of the Interstate Commerce Commission, forming the Department of Commerce and Labor, railroad rate legislation, Panama Canal, Latin American affairs, relations with Russia, China, and other countries, the Versailles treaty and the League of Nations, and efforts to promote Knox as a presidential candidate. Finding aid. Additional Papers: Correspondence in Francis Bowler Keene papers, 1867-1976. Papers: Correspondence in George Perry Morris papers, 1843-1918. Papers: 119 items (1905-1906, 1908-1911, 1913, 1916-1917, 1919-1920) including political correspondence and patronage recommendations contained in various collections. Finding aid. Papers: Correspondence in McCreery family papers, 1818-1948. Finding aid. Papers: In Bingham family papers, 1811-1972; Charles Dewey Hilles papers, 1885-1955; Paul Moritz Warburg papers, 1904-1932; and Charles Nagel papers, 1877-1940.